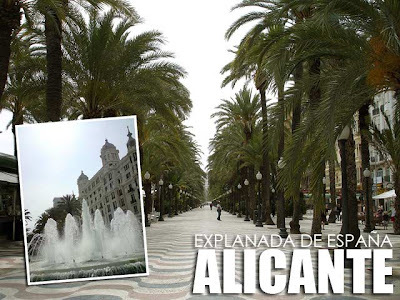 Alicante is such a charming Mediterranean city and a popular tourist getaway being the center of Costa Blanca. After exploring Elche in the morning, I decided to breeze through Alicante in the afternoon before proceeding back to Valencia. Ever since I was a child, Alicante had been very familiar to us since we had a granduncle, a retired diplomat, who lived there. Sadly, he passed away last year even before I could meet him. The capital of Alicante (Alacant) Province, the city was described by the Valencian author Joan Fuster as the most pleasant city in the Valencian Region, “the city you would choose to live in if you had to exchange your village for a town.” Its more than 3,000 years of history was evident in its rich architectural heritage. I immediately noticed the Castillo de Sta. Barbara perched on top of Monte Tossal. There are buses that take you up the hill to visit the castle. The city hall of Alicante is a gem of Baroque civil architecture. 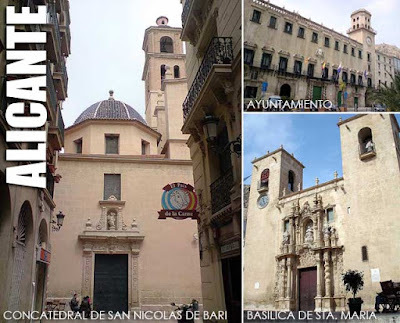 Equally impressive are Alicante’s churches, particularly the Concatedral de San Nicolas de Bari and the Basilica de Sta. Maria with its impressive Baroque façade. They were closed when I got there so I had to wait until late in the afternoon to see the interiors. 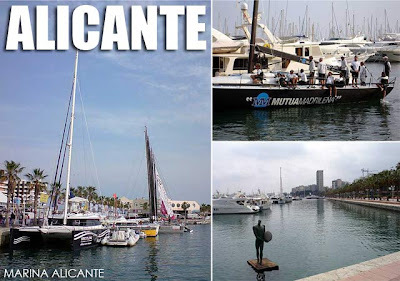 But with 300 days of sun every year, one of the city’s main highlights is its Mediterranean coast, especially the Playa de Postiguet, an urban beach located on the city’s sea front, and Marina Alicante with its many yachts and sailboats docked in the area. 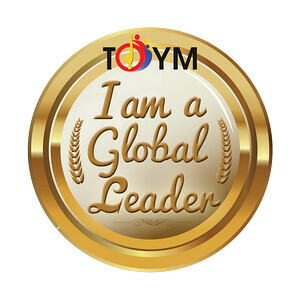 In fact, there was a competition ongoing while I was there. It was fun walking along the Explanada de Espana, the city’s paseo par excellence bordered by date palms with a spectacular tile mosaic floor. On one end of the Explanada is Casa Carbonell, an enduring edifice that has become a symbol of Alicante’s Mediterranean vibrancy. When the bells of the co-cathedral and basilica tolled at 6 p.m., it was a signal for me to walk back to marvel at their interiors. High up the main altar of the co-cathedral is an image of the Virgen del Remedio. 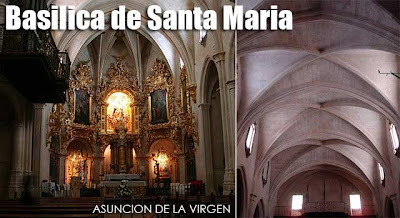 Behind the main altar is a chapel to the city’s patron, San Nicolas. 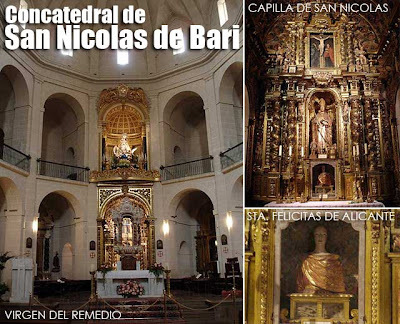 Below the image of San Nicolas is the reliquary bust of Santa Felicitas of Alicante which houses her bones. The city’s oldest church, the Basilica de Santa Maria, is dedicated to the Asuncion de la Virgen, and was recently elevated to Basilica Minore by Pope Benedict XVI in 2006. The Baroque main altar is as grand as its façade. After visiting the two churches, I still had time to spare since my bus back to Valencia was still at 9 p.m. So I made some last minute exploring. As an aside, it surprised me that the ALSA bus ticket to Valencia from Alicante (17,60€) costs more than the bus from Elche (10,94€) which is even farther! The ticket counter explained to me that the bus from Elche stops in a lot of towns while the one from Alicante is direct. But not exactly since it had one stop in Benidorm.